Daughter of a Samoan mother and a pākehā father, Dana Youngman counts herself thankful to have grown up experiencing two very different cultures. After spending her first ten years in the Auckland suburb of Avondale, the family relocated to Dannevirke in the lower North Island. In 2004 Denis Harvey offered her the job as Head of TVNZ’s Lifestyle unit. Youngman took over from the “legendary” Simone McNaught, who had built the department up from a handful of shows to more than 16. The unit (later known as the Production Unit) handled all of TVNZ’s in house productions aside from news, sport and Māori programmes: everything from Country Calendar to Dancing with the Stars. In 2005 Youngman was invited to create the format for a new look home and garden series. Her pitch did the trick; soon she’d left her old job leading 100 staff in order to produce (and sometimes direct) New Zealand House and Garden. The show’s portraits of aspirational homes both here and overseas won solid ratings, though high production costs meant only one series was made. In 2007 Youngman was a producer, director and writer on the first, Prime TV version of talent show New Zealand’s Got Talent. Thanks to the liveliness of hosts Andrew Mulligan and Jason Reeves, “I have never laughed so much on a job”. Realising it was a big gig, South Pacific Pictures paired Youngman with veteran Richard Hansen. Both had recently had babies, which added up to crazy hours and inevitable moments of sleep deprivation. Around 2008 multi-national company FremantleMedia invited Youngman and chef Annabel Langbein to pitch a new cooking show. Together with “brilliant” director Michelle Bracey, they created a ten-minute pilot. After a few months silence Youngman was invited to an Auckland hotel to face questions from two visiting Fremantle executives, before getting the green light. The thirteen-part Annabel Langbein: The Free Range Cook would go on to screen in 80 countries; the accompanying cookbook has sold over 100,000 copies. Youngman left after the first series. She had other shows to brainstorm, including The Art of the Architect, which she created with TVNZ executive Tina McLaren and “the late great Sue Donald" (producer of TV3’s Missing Pieces). It was another original concept, which exceeded expectations with excellent ratings and international distribution. 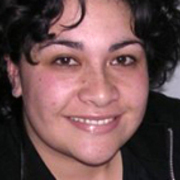 In 2013 Youngman helped create TVOne lifestyle series Whānau Living, which she described as “a combination of almost every show I’ve ever made — but on a tiny budget, so it punches well above its weight.” Hosted by Stacey Daniels Morrison and featuring 30 per cent te reo, the show won a solid audience via five-day-a-week screenings.